Branding goes way beyond just a logo or graphic element. When you think about your brand, you really want to think about your entire customer experience — everything from your logo, your website, your social media experiences and the way you answer the phone to the way your customers experience your staff. When you look at this broad definition of branding, it can be a bit overwhelming to think about what it involves. In short: Your brand is the way your customer perceives you. Many small organizations and startups neglect spending the necessary time thinking about their brand in this broad sense and the impact it has on their business. Let’s look at 10 reasons why digging into your brand is so important. People prefer to business with companies with which they are familiar. If your branding is consistent and easy to recognize, it can help people feel more at ease purchasing your products or services. 2. Your brand sets you apart from the competition. In today’s global market, it’s critical to stand apart from the crowd. You are no longer competing on a local stage; your organization is now competing in the global economy. How do you stand out from the thousands, even millions, of similar organizations around the world? 3. Your brand tells people about your business DNA. Your full brand experience, from visual elements such as the logo to the way your phones are answered, tell your customer about the kind of company you are. Are all of these points of contact telling the right story? 4. Your brand provides motivation and direction for your staff. A clear brand strategy provides the clarity that your staff needs to be successful. It tells them how to act, how to win and how to meet the organization’s goals. 5. A strong brand generates referrals. …brands, listen to brands and they’re constantly telling others about the brands they love. On the flip side, you can’t tell someone about a brand you can’t remember. A strong brand is critical to generating referrals or viral traffic. 6. A strong brand lets customers know what to expect. 7. Your brand represents you and your promise to the customer. It is important to remember that your brand represents everything about you — your business, your staff, your marketing materials. What do they say about you, and what do they say about what you’re going to deliver (promise) to the customer? 8. Your brand helps you create clarity and stay focused. 9. Your brand helps you connect emotionally with your customers. A good brand connects with people at an emotional level. Purchasing is an emotional experience and having a strong brand helps customers feel good at an emotional level when they engage with the company. 10. A strong brand provides your business value. A strong brand provides value to your organization well beyond your physical assets. Think about the brands you purchase, such as Coca-Cola, Wrangler, Apple, Ford, Chick-Fil-A and QuikTrip, to name a few. Are these companies’ values determined by just their equipment, their products, their warehouses or factories? No. These companies are worth much more than their physical assets; their brand has created a value that far exceeds the worth of their physical properties. The best branding is built on a strong idea, an idea that you and your staff can hold on to, commit to and deliver upon. Your brand needs to permeate your entire organization so that every aspect of your operations deliver on its promise. Joe DiPastena is principal and creative director at DesignConnection. Intelisys has been selected by Carousel Industries, a $355 million VAR, as its primary master agent partner for cloud and carrier services. Intelisys’ Drive for 5! also shows the opportunities provided by a recurring-revenue model. Cogent’s newly revamped channel-partner program will feature enhanced support along with greater technical resources. The new agreement increases commissions for all Cogent products and services. 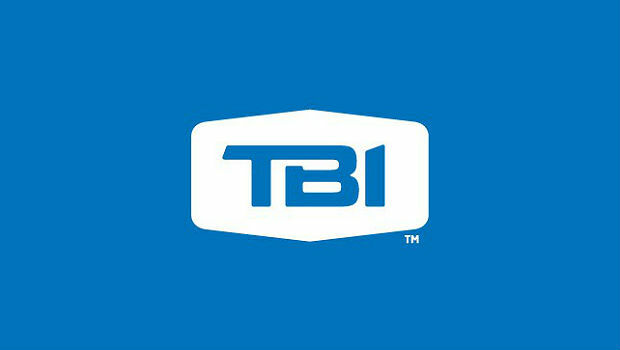 TBI brought the new hire on to manage partner relationships in the Midwest.